We’ll call this one “The Nope Edition.” Nope, I didn’t finish the Fourth Doctor Scarf, though I only have 72 rows to go. Nope, I didn’t finish Illusions, though another 20 minutes should do it. 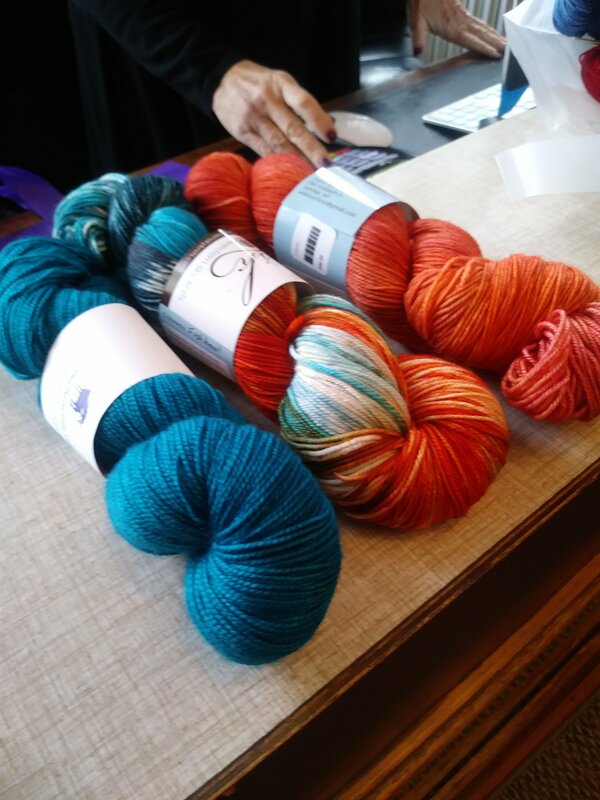 I did go to Frederick today, where I picked up another copy of Illusions for a friend, and this delightful yarn. It’s wound into cakes and ready to become Edison by Lynn Di Cristina, and I can cast on as soon as I quit typing. This entry was posted on January 21, 2018, in cass goes, cass makes things, cass reads. Bookmark the permalink.